The Relay For Life event only takes place for 18 hours once a year, but the fight against cancer continues year round. Our hope is that survivors, volunteers, businesses, and teams will support the fight all year so we can move closer to a world without cancer. One team from Cape Coral demonstrated that wide spread community support and the drive to continue fundraising even into the summer to benefit the fight. Hanney’s Helpers, led by John and Iris Hanney and Bobby Bennetts, partnered with several local businesses to continue fundraising after the Relay For Life of Cape Coral this past April. 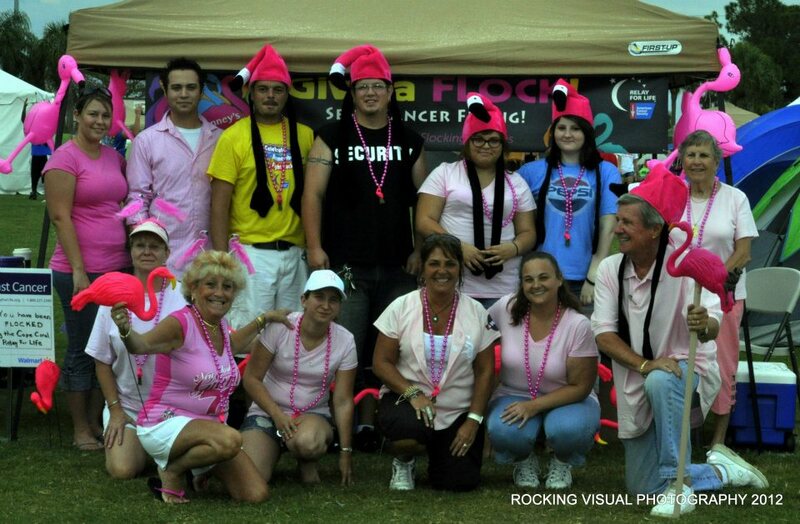 This past week they reached $27,252 in the fight against cancer, making them the #1 fundraising team, not only in Cape Coral, but in all of Lee County in 2012! With the extra dedicated support of Barry Anton’s, The Lobster Lady, Anthony’s on the Blvd, and Water Medic, Hanney’s Helpers was able to reach this amazing total to create a world with more birthdays. In addition to recognizing Hanney’s Helpers, and these supporting businesses, we want to acknowledge and encourage those who strive each and every day to support the search for a cure. Every dollar raised means we are closer to a cure. Every dollar makes a difference. Everyone has been impacted by cancer in some way. Everyone can do something. We ask you to continue the fight all year long in spreading the word about the programs and services of the American Cancer Society, continuing the fundraising efforts, and encouraging loved ones going through treatment that every day they are SURVIVING this disease. Together we will find a cure. Together we will keep the next generation from hearing those three ugly words. Together we will eradicate a major health problem and your children and grandchildren will know you had a hand in curing cancer! Thank you so much, Cape Coral community, for all you do, and for helping to save a life today!